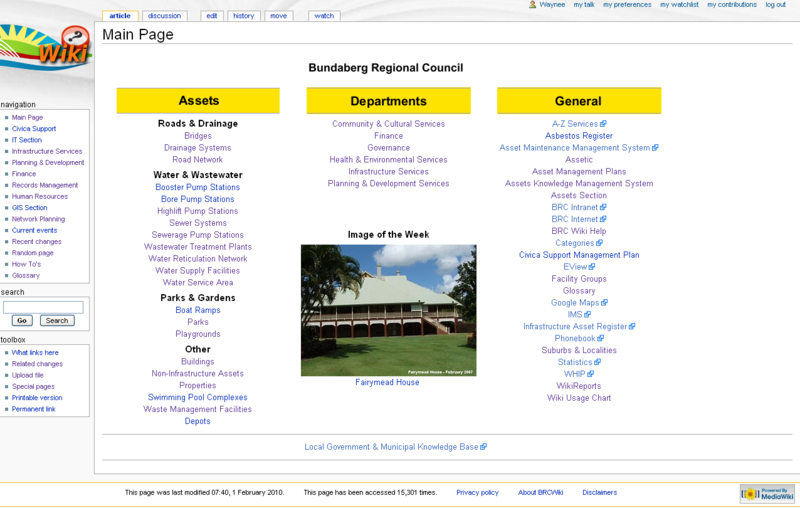 Bundaberg City Council (BuCC) started using a Wiki to help manage its assets in mid 2006. When BuCC was amalgamated with three other municipalities in March 2008 (Burnett Shire, Isis Shire & Kolan Shire) the wiki concept was adopted by the new Bundaberg Regional Council. 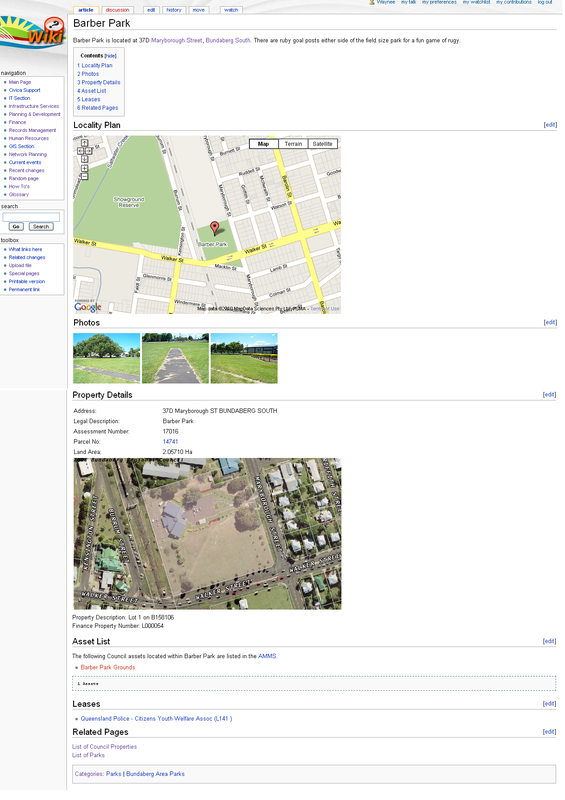 Council's IT Department set up a MediaWiki based wiki to help them with IT related tasks, but it soon became apparent that it could be used for much more including the publishing of asset management related information. As the saying goes a picture paints a thousand words so I will use a few screen shots to explain. The main page consists of mainly links to other pages of interest. 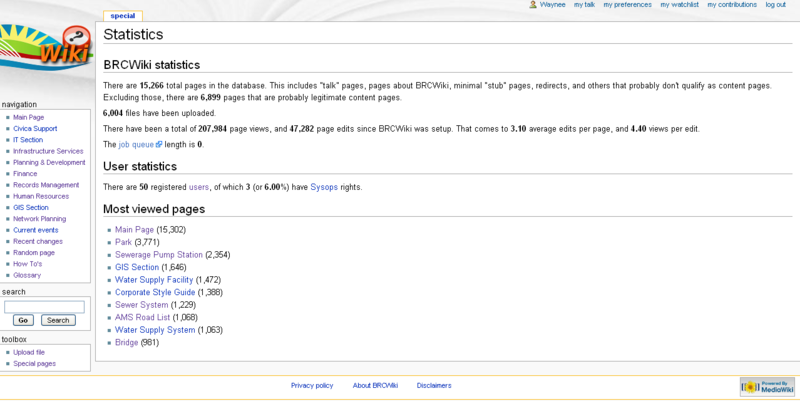 The statistics page gives you a good idea of how well utilised the wiki is. When I took the screen shot, there were 15,000+ pages on the site, at least half with a reasonable amount of content, and the number of pages views was over 207,000. Many pages are about specific facilities and assets, although there are also many pages defining common terms and things like that. Many pages extract and display data stored in corporate data bases.